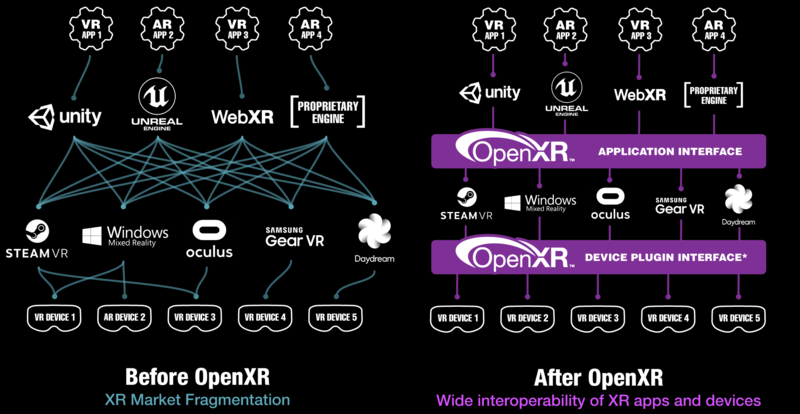 The Khronos Group recently announced a provisional specification of OpenXR, a royalty-free open-standard aimed at unifying access to VR and AR (collectively known as XR) devices. Also, Collabora announced Monado, a fully open source OpenXR runtime for Linux. That sounds pretty good and anything that can help cut-down developer time to support more platforms, is always a good thing. An open standard is always the better option too of course, since you're not locked into any specific vendor. Sounds like OpenXR is already gaining pretty good industry support too with Epic Games, Microsoft, Oculus, HTC, Tobii, Unity and more giving their backing to it. Hopefully this means it really will become a standard that's actually used preventing more fragmentation. Since no one headset has truly taken over just yet, with so many already throwing their support around for OpenXR it's looking pretty good. But Monado is not just a runtime - beyond an open standard and an open source codebase, we want to build an ecosystem encompassing the various XR actors from the open source community and the XR industry. If you are an XR enthusiast, an open source hacker, a hardware vendor or already a major player in the XR industry, check out Monado and join our effort to make Linux a fully XR enabled platform. According to Collabora, Monado actually pulls in hardware support thanks to projects like OpenHMD and libsurvive. You can find the announcement about Monado here and the OpenXR announcement here. Hopefully that XKCD comic about standards won't come and bite them in the arse. Done carefully and properly, this could be a ground-breaker. If even Microsoft is supporting this, then this shouldn't have the main obstacle of success that OpenGL and Vulkan have had. Really good approach, I hope its not too late, though. We already have the graphical fragmentation and honestly I am surprised how many non-graphics developers and project managers I met haven't heard of Vulkan yet. There is a video showing this working with a full open source stack - Linux, Mesa, libsurvive with experimental positional tracking of a Vive headset, Monado for OpenXR, Godot game engine. I'm amazed at the progress. A couple of days ago I thought positional tracking didn't yet work, and while I hoped that OpenXR would be introduced at GDC that wasn't known and there was no hint of an open implementation. Imagine a world if everything was just vulkan... it be amazing. I always cringe when a developer goes DX12 only,. To date I haven't even tried VR, I want my first experience to be with nothing less then Pimax 5k+ level headset which is pretty good I hear (was a bit rough at start). TheRiddick Imagine a world if everything was just vulkan... it be amazing. I always cringe when a developer goes DX12 only,.